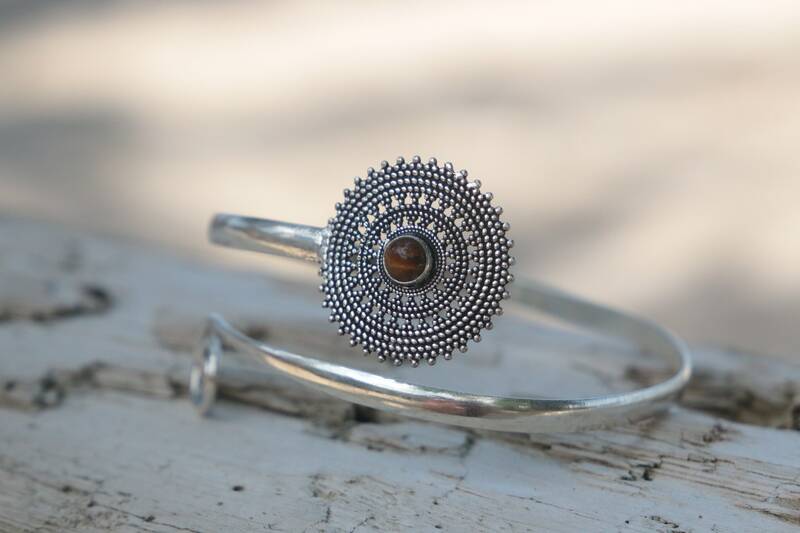 This handmade Tigers eye crystal arm band is the perfect boho accessory. 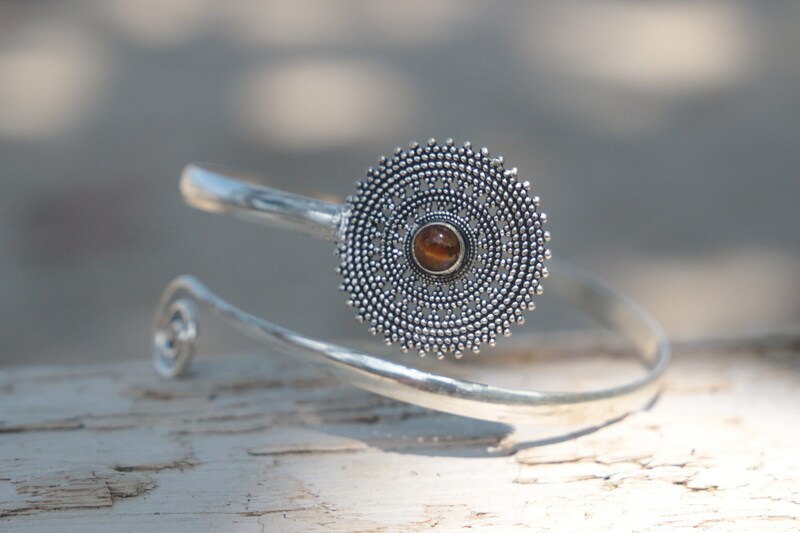 Using high quality Tigers eye crystal on silver plated band makes the stone really stand out, and the filigree detail and oxidised silver gives the piece a timeless and vintage charm! 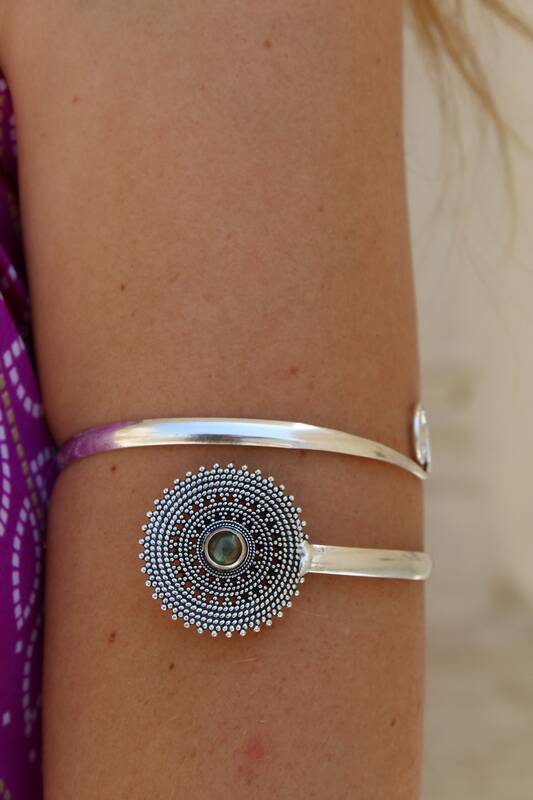 Great for weddings and festivals, adding a pop of bohemian colour to any summer outfit! 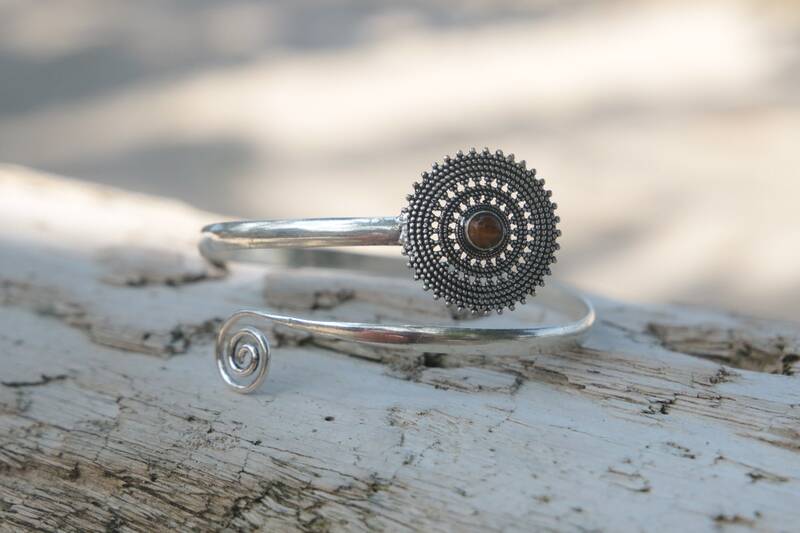 Our arm bands are all adjustable so one size fits all! Material: Silver plated metal, Nickel Free. Handmade with love from Liverpool.